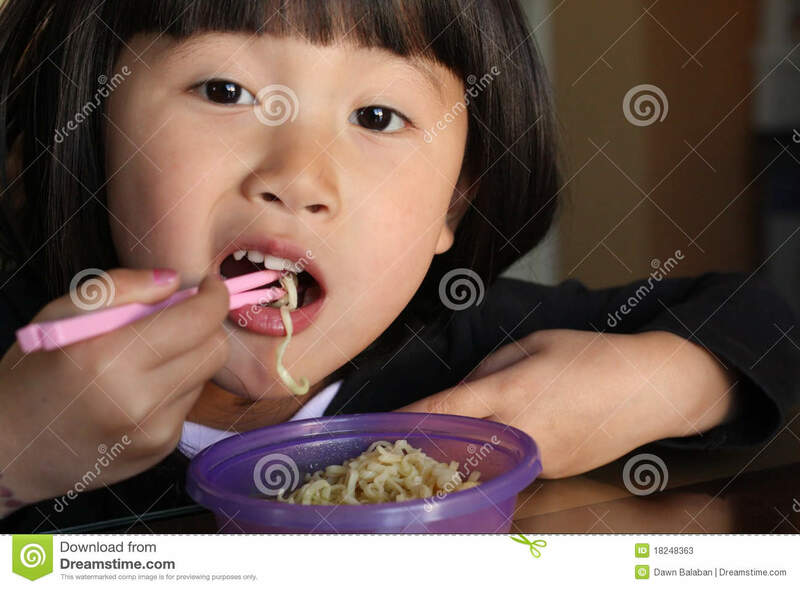 Asian little Chinese girl eating noodles soup in restaurant. 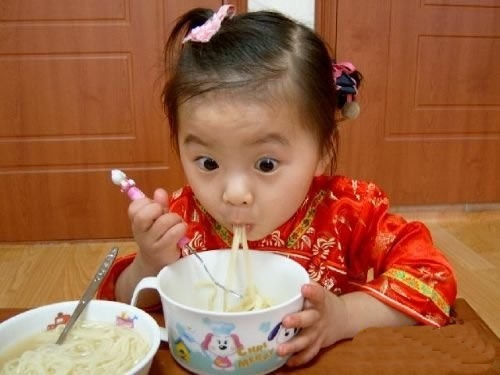 Chinese noodles in a red box. 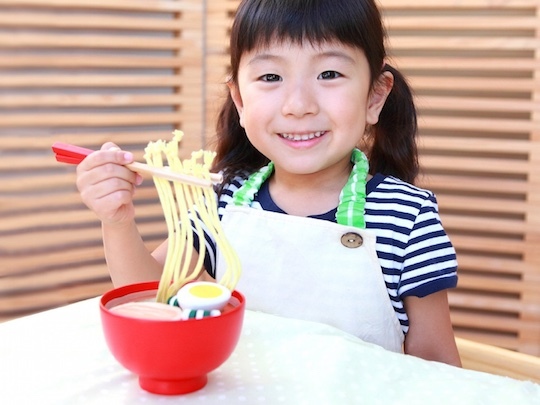 Instant noodle on shelf supermarket.